12 km North of Pertuis. Saint Martin de La Brasque is an ancient village located in the Aigues valley in the south of the Parc Naturel Regional du Luberon. 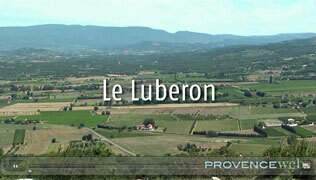 In the XI° century Saint Martin de La Brasque was called and during the revolution ""Le Mont-Libre". Destroyed and abandoned in the XV° , St Martin had to wait until the XVI° century for its second life thanks to the Noble from La Tour d'Aigues. 14 families moved in and the village took the name, Saint Martin De La Brasque. Walking around the pleasant streets of the village you wont fail to notice the impressive "trompe l'oeil" mural next to the school. Only a small part of the population live in the village center as the housing extends to a number of hamlets : Belle Etoile, Les Furets, le Castelas. In the ancient village of Castelas, only a few ruins remain but you can visit them by taking the pleasant botanical trail. There are other beautiful bastides, especially in the heart of the village, one is the Bret bastide, a classified building but not open for visits. In the exit of the village in the direction of La Tour d'Aigues, you can se the Domaine Sainte Catherine (private property). La Motte d'Aigues (2km), Grambois (6km), La Tour d'Aigues (5km).